The one bedroom ground floor apartment is situated on a private, tranquil community just a short stroll from the main Avenida de Las Playas and beaches of Puerto Del Carmen. 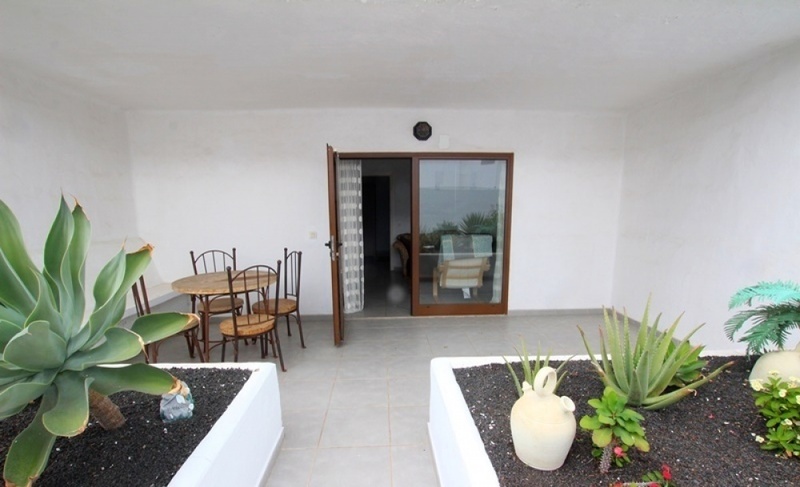 The apartment benefits from a very spacious south faced terrace with great space for both dining and sun bathing. Inside there is an open plan living room/ kitchen, double bedroom and generous bathroom with walk in shower. Can be ideal as an investment!